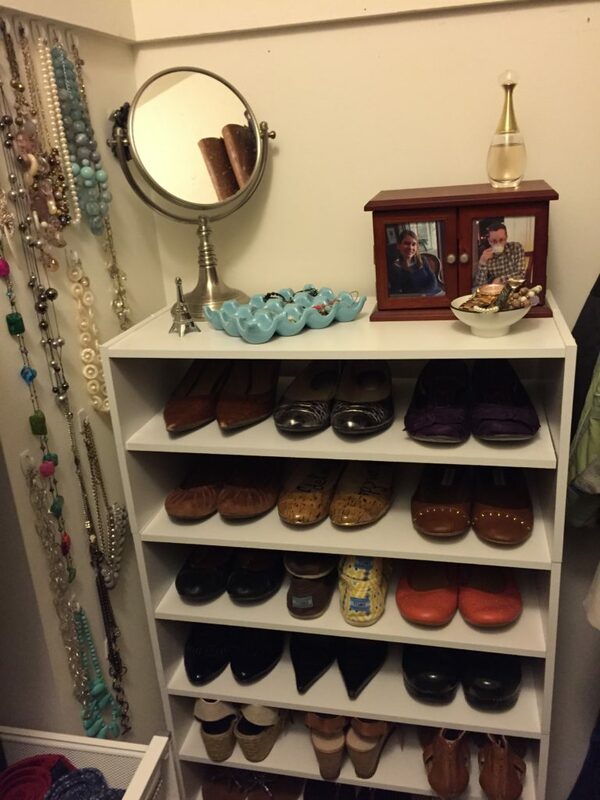 Did you jump on the bandwagon and read The Life-changing Magic of Tidying Up by Marie Kondo? 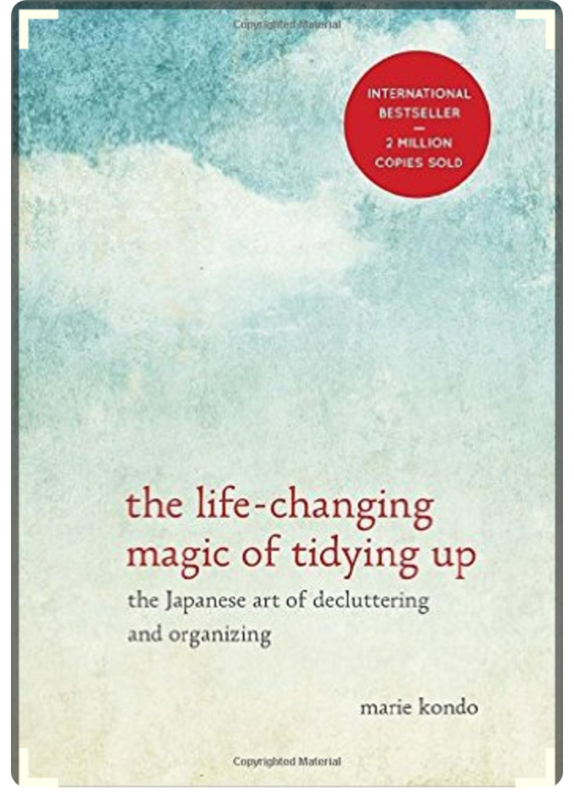 I read it more than two years ago, before even getting pregnant, and really considered myself an evangelical “disciple” of KonMari. I plowed through the book in an afternoon and immediately started going through all of our things. 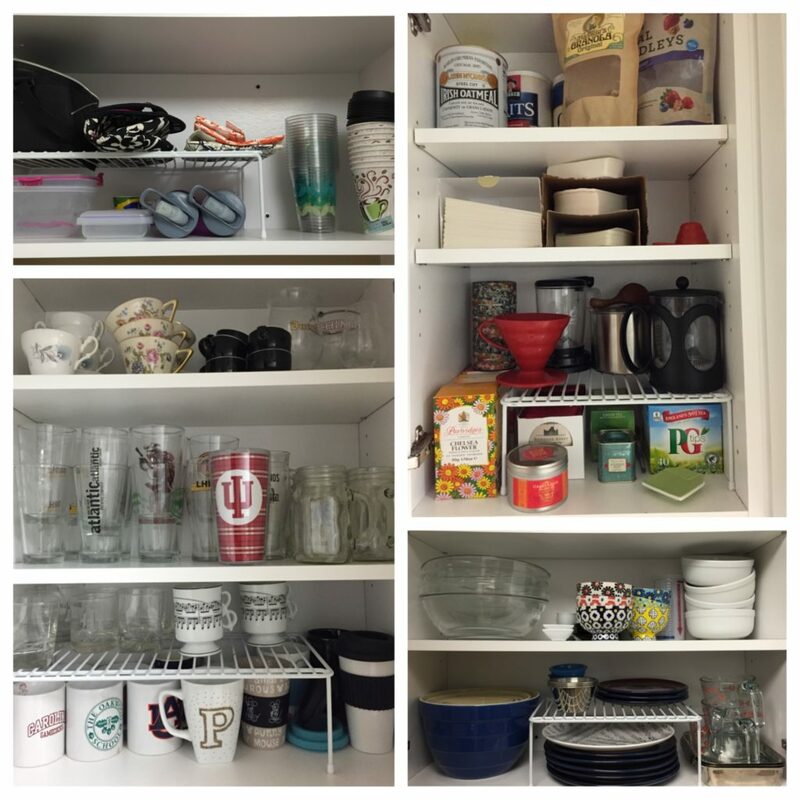 The Great Purge of 2015 began. 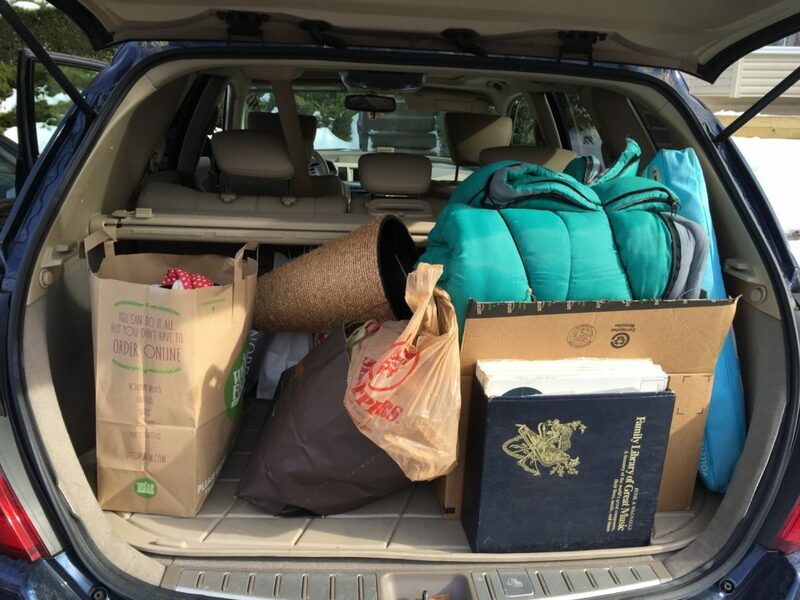 Carload after carload went to the trash or Goodwill. I became something of a zealot for the cause. I loaned my book to 4 friends, and they all had a heyday purging their own things. It really is a well-written self-help book, and I can see why it would be “first homework reading” for a new client of a professional organizer. It is a great kick in the pants. Looking back on it two+ years later, I still “believe” in the method, but it seems less attainable now. For example: the folding method is brilliant and a great skill to hone. 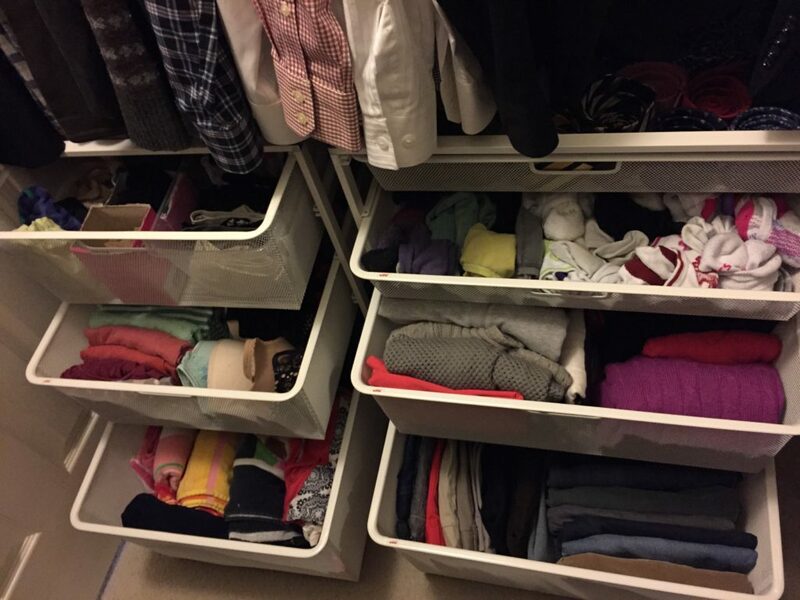 Kondo shows clients that all clothes should be treated with respect and should be folded to fit the space. If folded properly, the items should be able to stand up on their own. Great, right? Then the second component is the sheer number of clothes I have accumulated since then. Not clothes for me! Baby clothes. So. much. stuff. for one tiny kid. A bin for newborn, another for three month, six month, nine month, twelve month…and then there are all the hand-me-downs for future sizes that we haven’t even worn yet. There’s the bulky gear taking up all the storage space too: the Rock ‘n Play, the Pack ‘n Play, the swing, the Jumparoo, the bassinet, the activity mat, the car seats… If you are sure you’re done having kids, you can get rid of it all, but what if you’re not? You’re in Baby Stuff Purgatory for the next few years. There was definitely no Tidying Up chapter on dealing with baby stuff. AND. When we moved to this house, our closet space was cut in half. No more walk-in closet for the master, no more deep storage space under the basement stairs, no closet at all in the 4th bedroom / clarinet studio, and half-sized closets in two of the bedrooms. Oh, and! We removed the coat closet. It will be workable, but we have been relying on systems that were fitted for our last house and not adapted to this new living space. Thankfully, order has started to return to the kitchen. We at least *almost* have one place in the house that is organized and in control. These pictures are phone photos [obviously] from our last house.